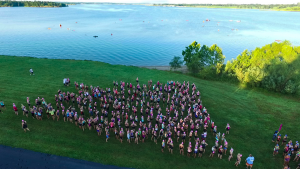 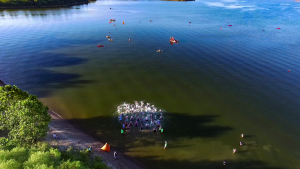 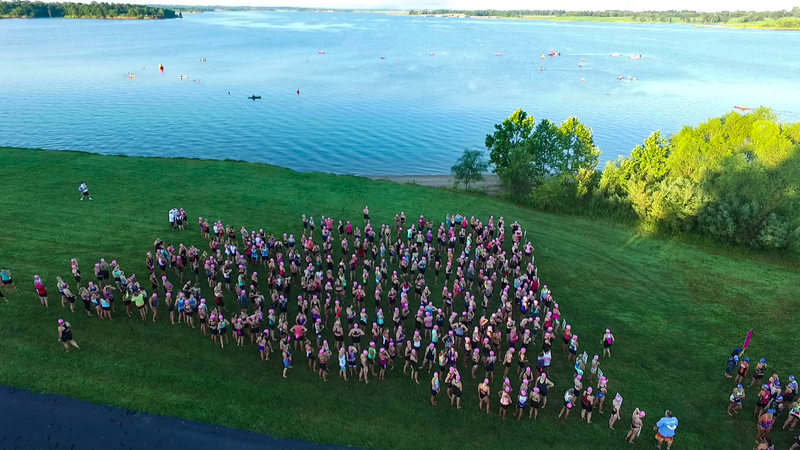 Over 600 women participated in the WIN for KC Women’s triathlon in Smithville Missouri on July 30, 2016. 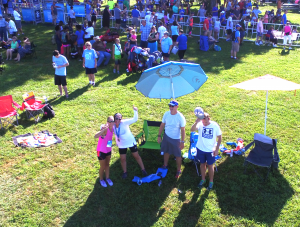 With a beautiful sunny day and blue skies overhead, this was a perfect day for aerial filming of these amazing athletes. 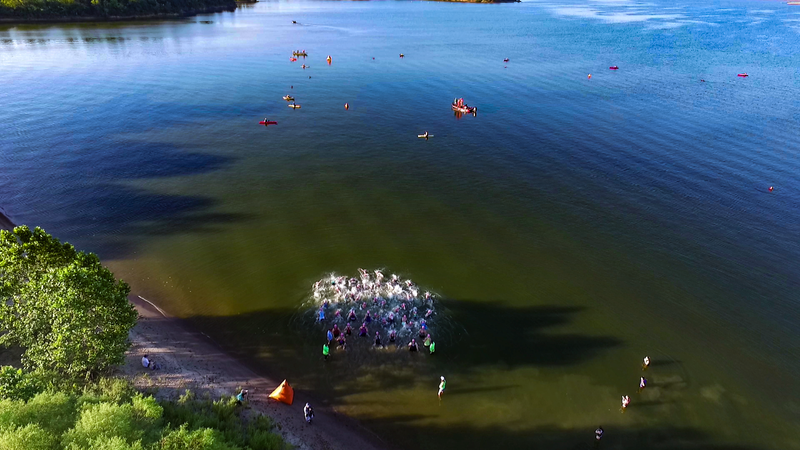 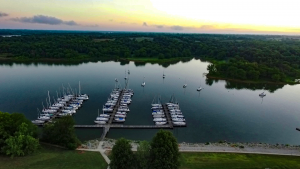 The swimming portion in the sailboat cove area was particularly fun to film from overhead. You can see in the videos and the photos how the swimmers have a unique pattern from above. 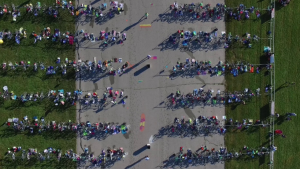 The next sport, biking, was also exciting to film. 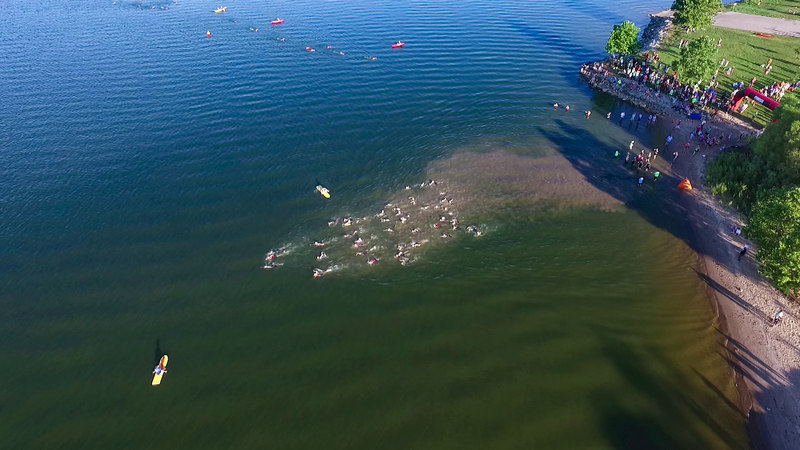 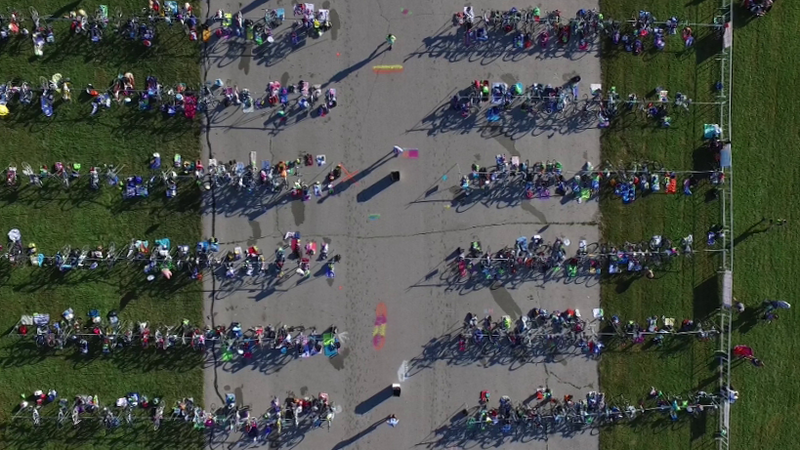 The transition area from above is an interesting perspective. The running portion mainly was in the woods and hard to get a good aerial shot. 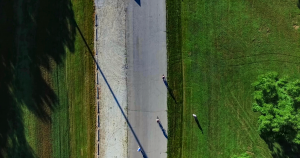 However, there is a short two or three seconds of a runner shown through the trees. Finally, they raced to the finish line – winners one and all! 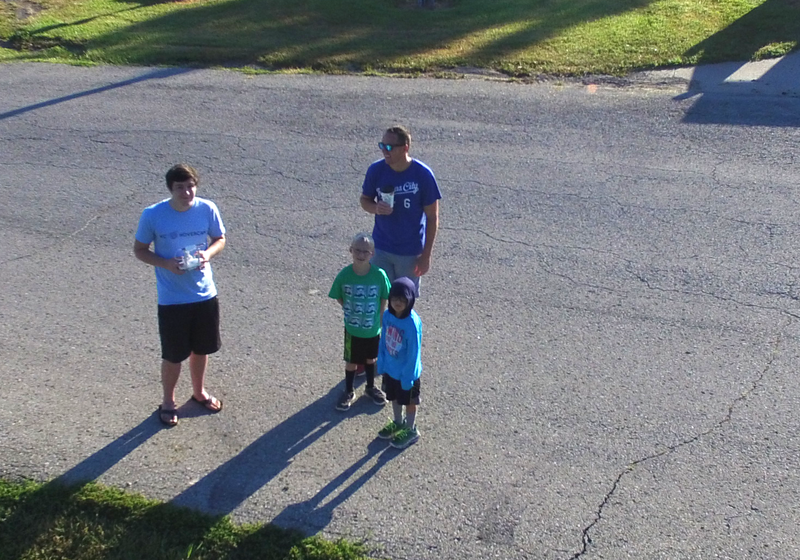 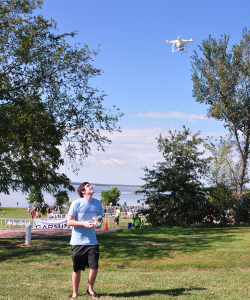 KCHovercam was excited to participate from above – thanks WIN for KC!